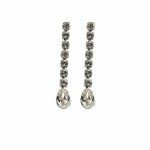 Hold Me Tight Earrings, Long Teardrop Clear Crystal and Gold Metal Earrings. Wrap your arms around me and hold me tight. 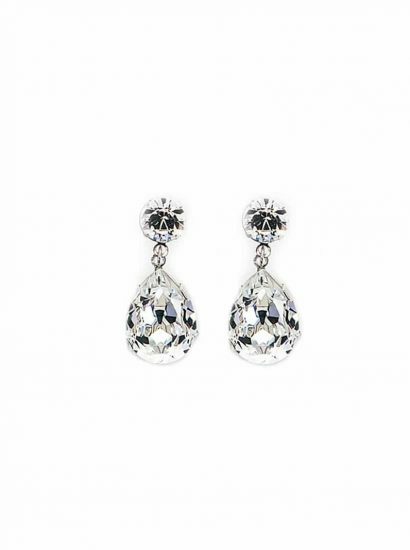 You will look be bewitching wearing these long drop earrings as they gracefully fall with a teardrop finish. 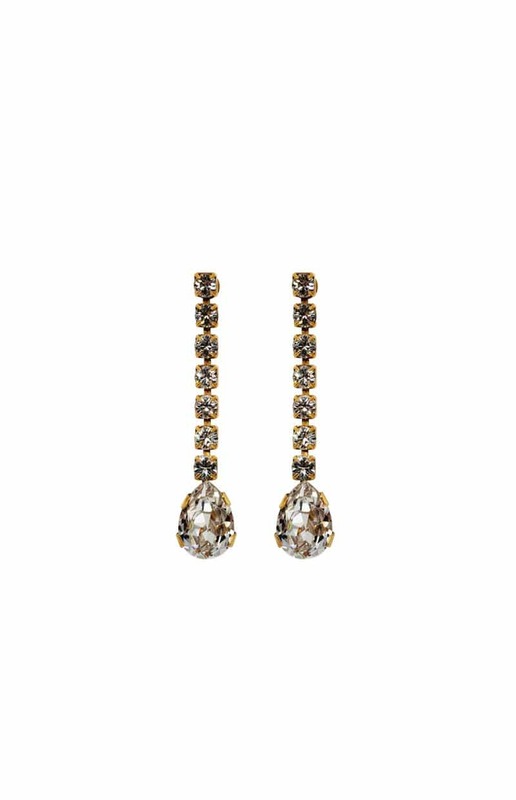 Featuring beautiful Swarovski crystals, in clear chain of crystals ending in a teardrop crystal, encased in gold metal; these glamorous earrings are an essential statement piece. 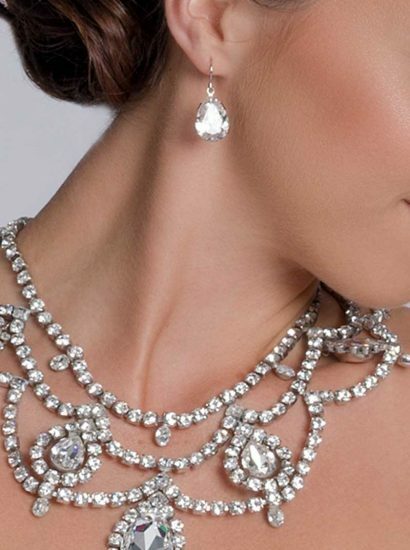 Team this with the matching clear statement teardrop ring for the most exquisite finish. 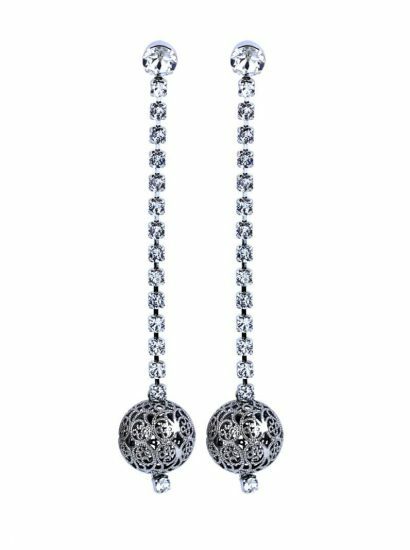 Hold Me Tight Grand Earrings. 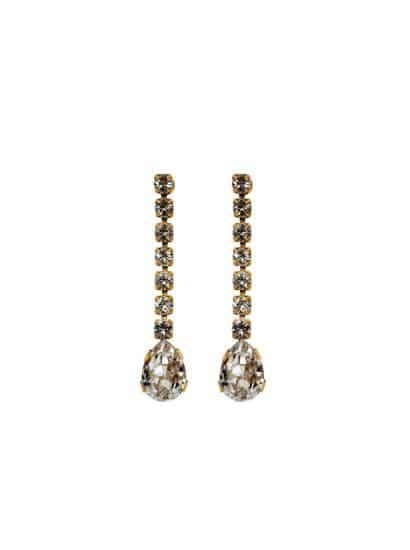 Clear Crystal teardrop earrings, gold metal. 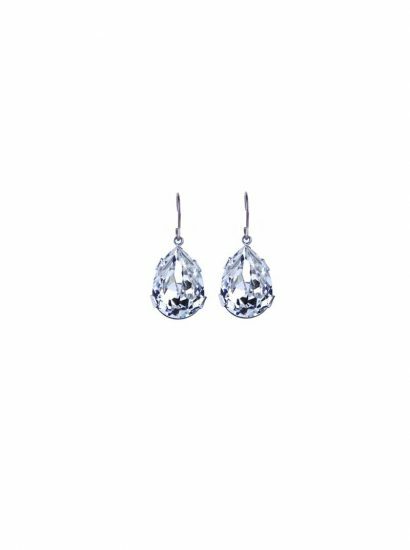 Handcrafted teardrop earrings. 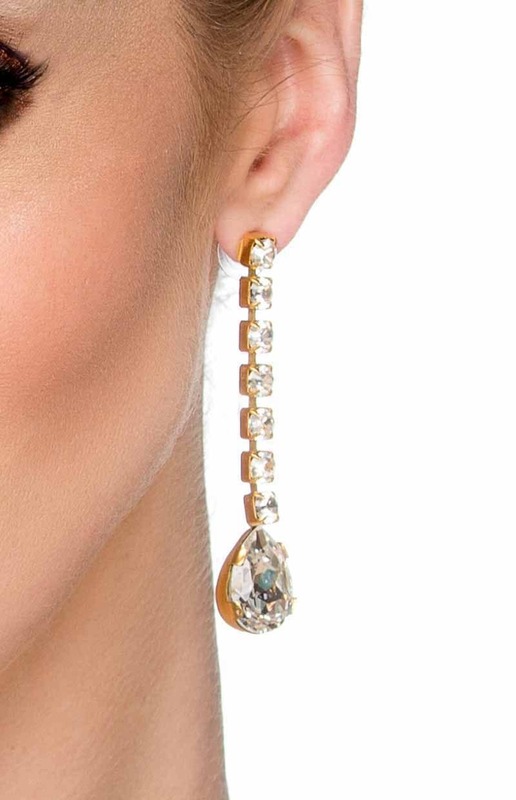 Clear Swarovski Crystal, statement gold earrings. 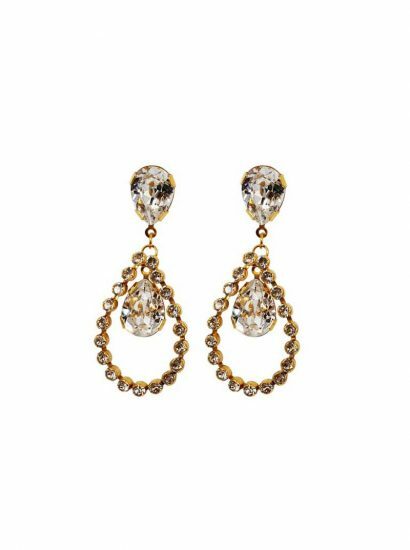 Featuring a teardrop clear crystal hanging from a chain of crystals in gold metal. 6.5cm long. Handcrafted in Australia. 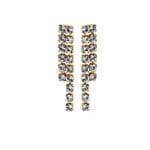 Stunning statement earrings in clear Swarovski Crystals finished in 22ct hard gold plating metal.